Have you ever thought what it would be like to have that youthful appearance back? Over the years you thought a beard made you look distinguished. Now when you look in the mirror you see Santa Claus and not you. Your desire is to get that younger you back. Competing with the youth movement is not as easy when you look like their grandfathers. We know what it is like to look older than you actually are. Needless to be said, we do not like it, either. A good beard dye can bring back that younger image that used to be you. 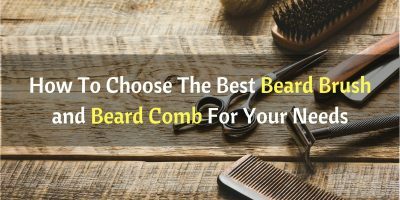 Or it can help you style your beard, so you look even better than before. Here is a guide to some of those products that can fit you right in with the youthful movements everywhere nowadays. Works in 5 minutes, easily brushes in and works on the toughest of beard hairs. The brush is designed to miss those areas you do not want to colour. Just do not leave it for too long and follow the instructions carefully, you'll be up and away with a fresh looking beard in no time. This product is more for touching up those small grey areas on your beard. You will like it each time you use the dye as there is no ammonia and no foul-smelling odour. The individual capsules give you control over how much of your beard you want to colour. This is the beard dye for sensitive skin. It comes in 8 different colours so no one with sensitive skin will be left out. All it takes to colour your beard and moustache is a mere 60-90 seconds. You can look younger in less time that it takes to comb your hair. The hypoallergenic beard dye that is right for your skin, but it is not for every beard colour. This brand only markets 3 different colours but it is a great organic alternative. Its ingredients are derived from Emblic, False Daisy, Neem Tree, Henna and Indigo. It is a natural beard dye for those who like organic products. 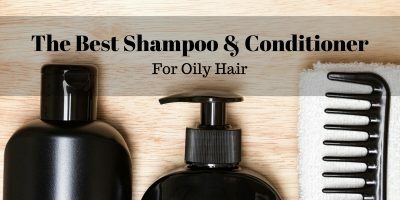 This product is for those men who need a quick fix, such as having an important business meeting at the last minute or a romantic date with a lovely lady and they do not have time for regular dyes. Just brush it on, let it dry and on your beard all day. Just for a couple of minutes and you are ready to meet any new challenge. Don’t like that grey hair in your beard? Then this 5-minute dye treatment is just for you. Their ammonia free design works hard to eliminate the grey from your beard and bring the best out of your facial hair. You do not have to worry about harmful chemicals hurting your beard. This product contains Vitamin E, Aloe, Protein and Chamomile. All the ingredients you need to grow a healthy beard. How it works is very simple. Just brush it on, wait a few minutes then wash it off. You can’t get an easier way to turn back the clock and look young again. Just one word of caution, though, if you have allergic reactions to normal hair dyes, then do not use this product. Also, do not use this product if you have any cuts, bruises or sensitive skin. It is not to be used on eyebrows or eye lashes and it is not for use on or for children. Vitamin E and other natural ingredients. Some good news for animal lovers: Godefroy products have never been tested on animals. You do not have to feel guilty when using this product to colour your facial hair. All you need to do is break open a capsule, mix it with a developer, and you are good to go. 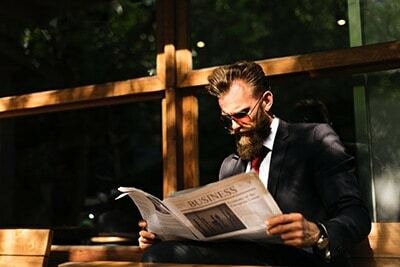 Depending upon the kind of facial hair you have, your colouring time may be as quick as 3 minutes and the slowest possible is only 7 minutes at best. Dyeing your beard has never been so easy. This beard colouring is said to not fade quickly, however, your results may be different than others. The small pre-measured capsules ensure that you do not waste any beard dye. You can use this product on your eyebrows as well. This product is safe for you to use every day. Found some new grey hairs? Just grab the package and brush and colour them. It will only take a minute and a half to change your greying beard to a youthful looking one again. You do not need to use gloves, caps, or mix anything together. Just grab the handy brush and apply the dye to your beard. Getting that younger look is not complicated anymore. For less than a dime a day, you can look drastically different from your supposed age. One package lasts up to 6-9 months depending upon how you use it. It is not recommended that you use this product for beard stubble, as it is a hit and miss function. For some men it will work on stubble and for other men it will not. The pigment can last for months. Does not work very well on stubble. A great beard dye for those men who have problems with skin irritation or allergies. This non-hypoallergenic beard dye is made from all-natural products. There are no harsh chemicals included that may damage your skin. However, do be careful when you use it as it does not wash off. The only way it will come off your beard is for you to actually shave it all off. This is no quick fix to shedding your Santa Clause look, unfortunately. You will need to mix two large teaspoons of the beard dye with hot water. Keep mixing until the mixture is similar looking to toothpaste. After you get the right consistency, apply evenly to your beard or stubble. Depending upon the coarseness of your beard, let it stay on your beard for ten to 30 minutes. To remove the natural beard dye from your beard simply use warm water and soap to rinse it away. Long preparation time and process in general. Blackbeard’s hypoallergenic beard dye contains no harsh chemicals. This lacking of artificial substances does not take away the manly effect. It is very easy to apply and there will be no giant mess to clean up afterwards. No need to worry about the colour fading, too, as Blackbeard will last from 8 up to 12 hours. Instead of a brush you get a mascara wand with Blackbeard. This will make sophisticated touch-ups much easier. You can have better control over which parts of your beard you want coloured. If you do not like that salt and pepper look, then Blackbeard’s beard dye will help your beard regain its youthful appearance. One good thing is that this beard dye does not rub off on clothing. You can use it at the office or at home. This is probably the most difficult part of beard colouring. Your beard is not naturally just one colour and matching up a dye to your normal facial hair colour is not going to be simple. Get an idea of your facial hair colour. Check to see if you have sensitive skin or are allergic to different ingredients. Decide if you want temporary or permanent colouring. Check the quality of the beard dye - will it stain clothes, wash out easily and other factors. Check the brand name - you do not want to put an inferior product on your face.. These are only a few tips to remember when selecting a good beard dye. This depends upon the occasion, the time you have and how much you want to spend. If you are in a hurry, then you need a quick fix beard dye. A natural or henna based beard dye may take too long to do the job. One good advantage is that you will be able to compete with the youth movement. You may get that attractive lady’s attention or just feel better about yourself because you look better. Read the ingredients and the disclaimers. Make sure you are getting the product that is best for you. Then check the stated time it takes to use the product. If you need a quick fix, do not by a beard dye that takes a long time. We know that many men have sensitive skin. We also know that many men have allergic reactions to harsh chemicals. BUT while natural dyes alleviate those conditions you need to remember that these natural beard dyes are not quick fixes. They do not come ready to use right from the box. For example, henna beard dyes take hours to get ready before you can use it. Others do not take as long but they are a hassle to mix and apply. Hypoallergenic beard dyes are good. They contain no harsh chemicals, made from natural ingredients so they are healthy for your hair. But it takes a long time before they are ready to use. That is a question only you can answer. There is nothing wrong with dyeing your hair. If you do not like the grandfather look then consider changing the colour. But be aware that grey hair is not the easiest colour to dye. If you decide to dye your beard, do it for the right reasons. Don’t do it just to impress someone. Then don’t shock everyone and do a big, fast dye job. Gradually colour your beard. The best way to use beard dye is to do it in small steps. Dyeing your beard is up to you. If you do not like the way you look with grey facial hair, then find the right colour for you. The decision is all based on your preferences. This depends upon your budget. It also depends upon if you are confident to do it yourself. It is always more inexpensive to do it yourself. Yet the results may show you skipped a professional touch. You get what you paid for. If you are using a quick fix beard dye, then by all means, save your money and do it yourself. Touch ups are the same. 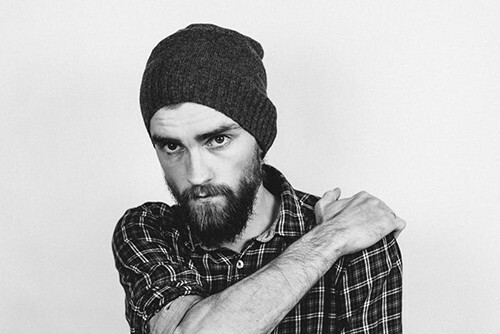 If you have a large amount of facial hair to cover then go to a professional you can trust. They have the experience, knowledge and skill to dye your hair correctly. Having grey hair is not the end of the world. Some women go for that distinguished professional look. A head of greying hard is completely natural. But, if you are not comfortable looking like Santa Claus or Colonel Sanders then colour your beard is the only way to go. It is your face and your beard. Style your beard any way you like. That styling includes colouring the grey. It is not a complicated procedure. In some cases it may only take one or two minutes to do the job. We have provided you a lengthy guide on how to dye your beard. There are a lot of beard dyes on the market to choose from. There are two main challenges in dyeing your beard. First, getting the dye colour that matches your facial hair colour. Second, finding a good beard dye. You need to know if you have sensitive skin or are allergic to different ingredients. Read our guide, read more reviews and do some more research. If you want to compete with the youth movement you need to know what you are getting yourself into. You do not want your beard dye task backfiring on you. The overall winner in this group is #1- Just For Men Beard & Moustache.